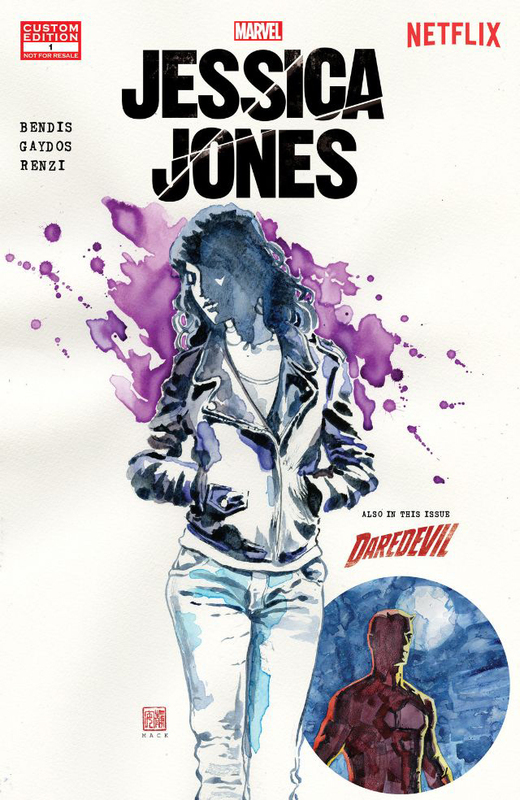 Marvel promotes its upcoming Netflix series Marvel’s Jessica Jones by releasing a free digital comic on comiXology, penned by Brian Michael Bendis and drawn by Michael Gaydos. You’ll need to sign up to the service in case you’re not a member yet before you can get the comic. As expected the 8-page comic doesn’t really give away much, just that Jessica lives in the same neighborhood as Daredevil – star of his own Netflix show – and like The Man Without Fear, she’s not above doing nasty things to fulfill her job as a private eye. The entire first season of Marvel’s Jessica Jones will be available on Netflix starting 11/20.